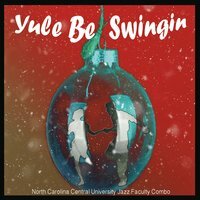 A swingin' Christmas set by 10 great musicians on the faculty of North Carolina Central University's outstanding jazz program! The stellar faculty musicians featured on this CD are Dr. Ira Wiggins (Director, saxophone), Aaron Hill (saxophone), Lenora Helm (vocal), Albert Strong (trumpet), Robert Trowers (trombone), Dr. Timothy Holley (cello), Ed Paolantonio (piano), Baron Tymas (guitar), and Thomas Taylor (percussion). This CD also features the talents of graduate student James Suter on bass. Other outstanding faculty include: Branford Marsalis (Artist-in-Residence, saxophone), Joey Calderazzo (Artist-in-Residence, piano), Arnold George (saxophone/vocal) and Damon Brown (bass). NCCU offers study leading to the bachelor of music and master of music in Jazz Studies.